The vertical-sticks background makes anything placed in front of it unphotographable, but I gave it a shot anyway. I guess it sort of worked. As well as it could, anyway. The simplest explanation for this pollination system seems to be that it is a case of brood-site deception as evidenced by egg-laying behavior of the flies and presence of eggs on the staminode, the paucity of larvae found among the flowers, and the lack of reward available once the pollinator is trapped. In other words, they're laying eggs, but the larvae don't survive (presumably they starve for lack of aphids), and the flower doesn't offer anything to the flies to reward them for showing up. 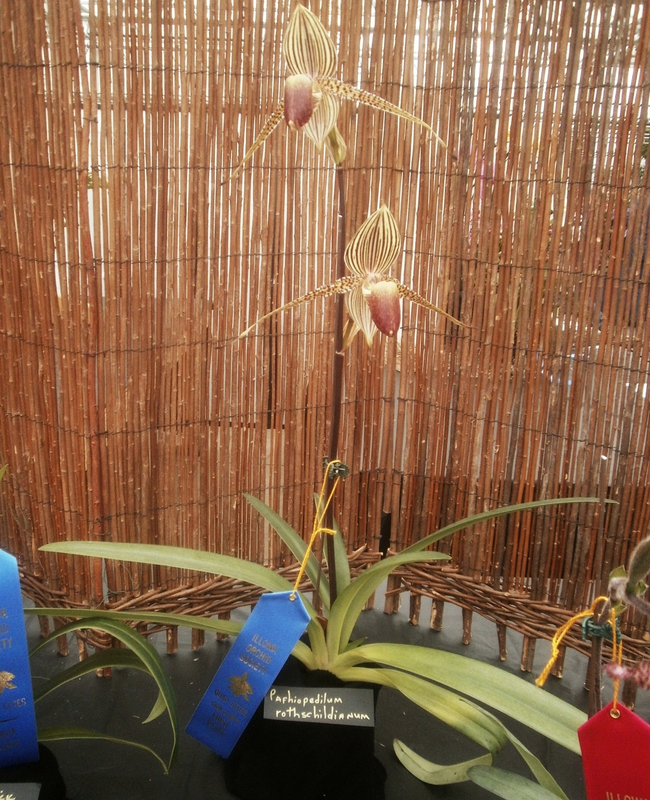 The simplest explanation is that the orchid is tricking the flies. 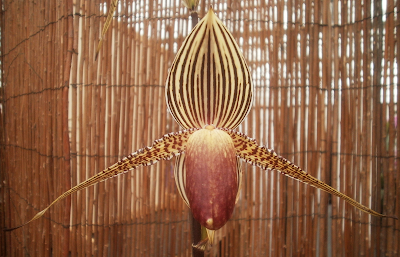 St. Swithin is still almost certainly in my top five orchids ever, if not the BOAT5 itself, but I have yet to see a striped paph that I don't love. 1 I'm not sure what, specifically, it is that I'm hearing here, but Wikipedia usually at least tries to sound like an encyclopedia, and this . . . doesn't. 2 Which is itself quoting an actual published paper: Atwood, J.T. 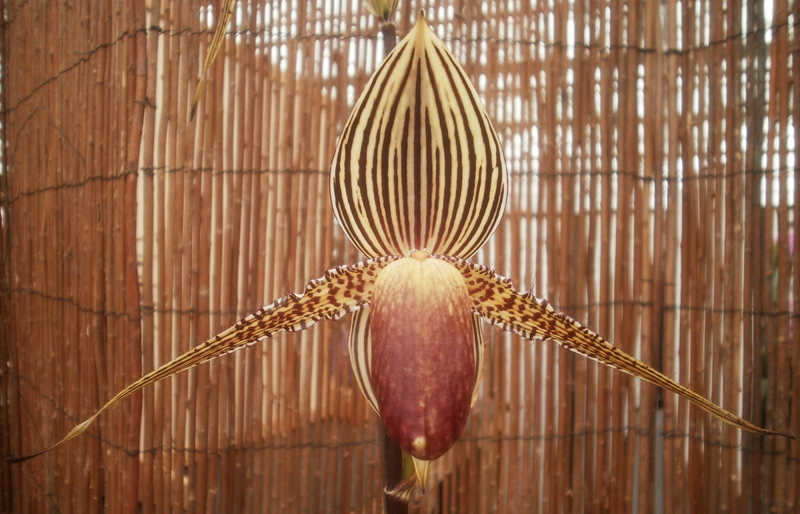 "Pollination of Paphiopedilum rothschildianum: Brood-Site Deception." National Geographic Research 1, no. 2 (1985): 247-54. 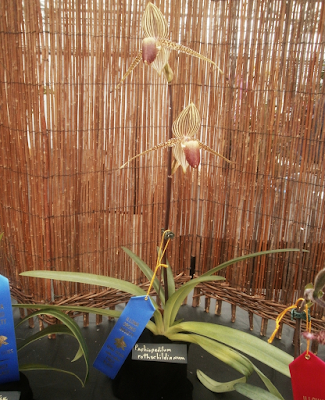 4 Primary hybrid: a hybrid between two species, as opposed to crosses between two hybrids, or between a species and a hybrid.